Investors in oil majors like Exxon Mobil and Royal Dutch Shell are in danger of being engulfed by OPEC’s divisions. After a meeting in Vienna on Dec. 4 that ran over schedule, the group failed to provide a specific crude production target. Instead, it said that its members are free to keep producing at full choke. Unusually, the group didn’t provide a new production ceiling figure – previously set at 30 million barrels per day, about a third of estimated global demand. Instead, OPEC said its members would maintain production levels. According to a Reuters survey, the group pumped 31.8 million bpd of crude in November. The path is now open for Iran to increase production by as much as 1 million bpd, once it is free from economic sanctions. It is the rate at which Iran will achieve this goal that has complicated negotiations within the group, which is dominated by Saudi Arabia and its close Gulf allies. The failure to reach a clear decision on its oil production ceiling could further raise the prospect of oil prices staying at low levels around $40 per barrel until OPEC meets in June next year. Goldman Sachs has warned that prices are at risk of falling to as low as $20 per barrel if oil markets remain oversupplied. Oil majors and investors may now have to prepare for another year of further cuts to expenditures. Wood Mackenzie estimated in January that oil at $40 per barrel would leave 1.5 million bpd unprofitable to produce, but this has not led to a significant cut in output outside of OPEC. Should oil prices keep falling further, that could change quickly. Companies have already put the brakes on more than $200 billion worth of oil and gas projects this year, according to Wood Mackenzie. The industry will remain under pressure until OPEC decides how much oil it actually wants to produce. 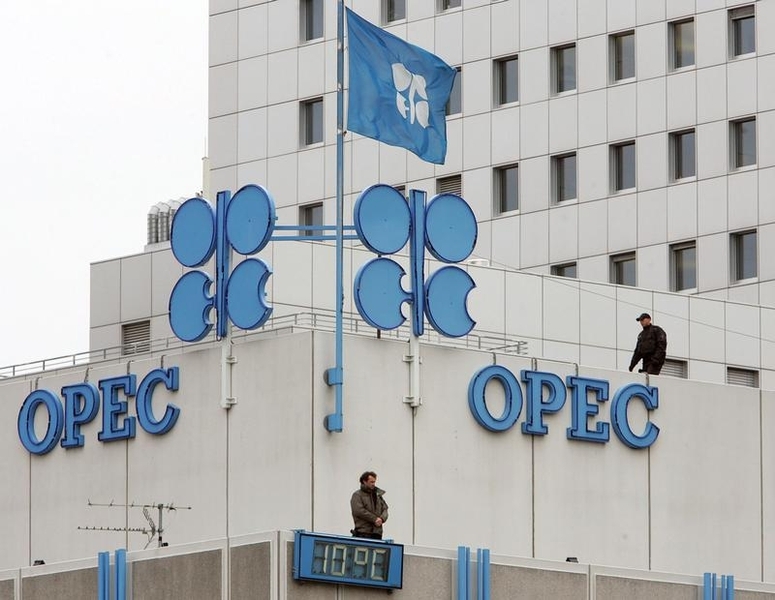 The Organization of the Petroleum Exporting Countries decided on Dec. 4 to allow its members to maintain production levels, without providing a new figure for its so-called production ceiling previously set at 30 million barrels per day. Brent crude has more than halved in value since June 2014 on soaring production, mainly from OPEC members Saudi Arabia and Iraq. One-month futures were trading down 1.35 percent at $43.25 per barrel at 17:14 GMT following the conclusion of the OPEC meeting.